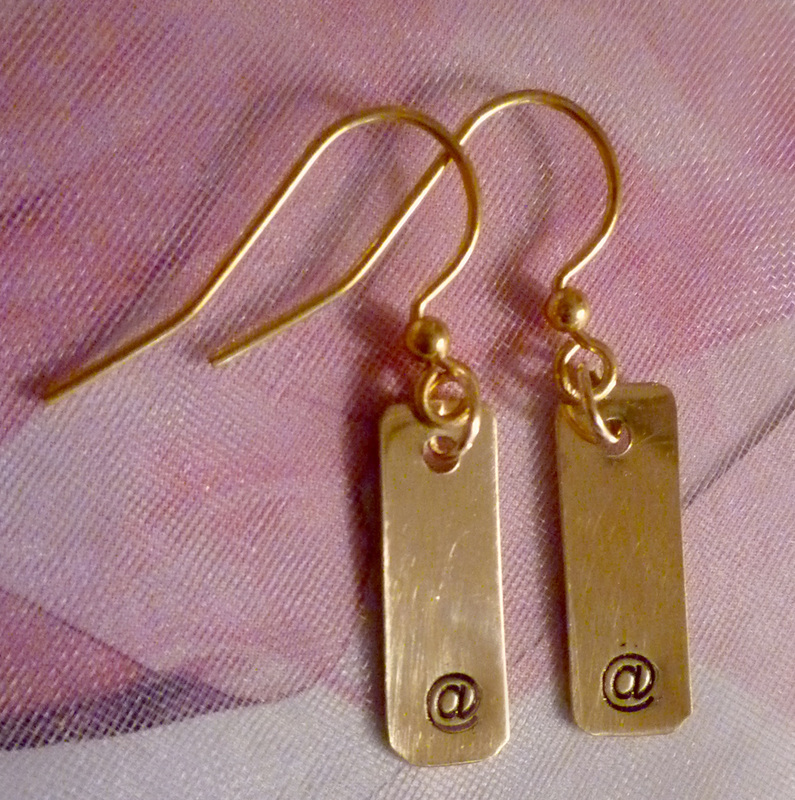 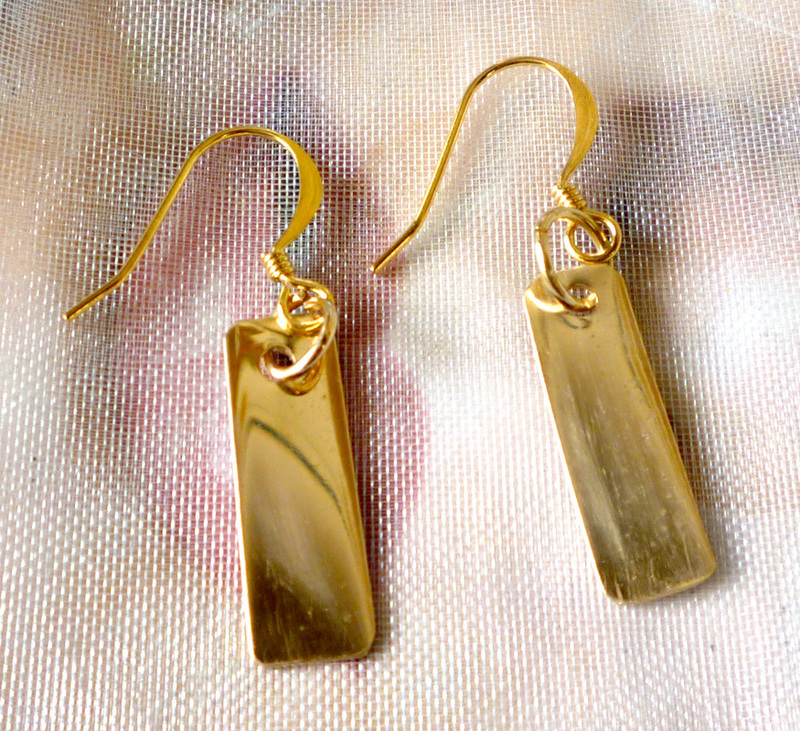 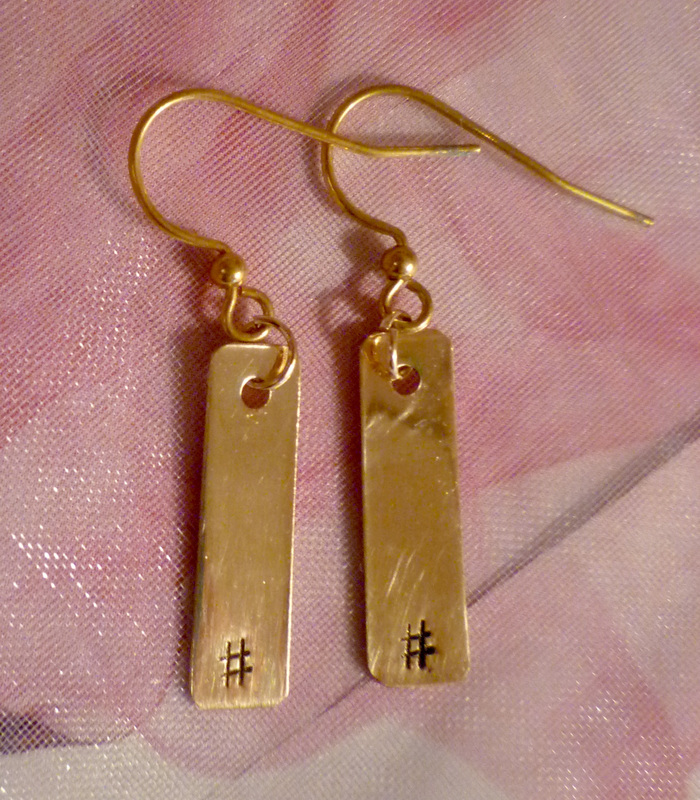 14K Gold Earrings are designed individually, hand cut and hand stamped to order! 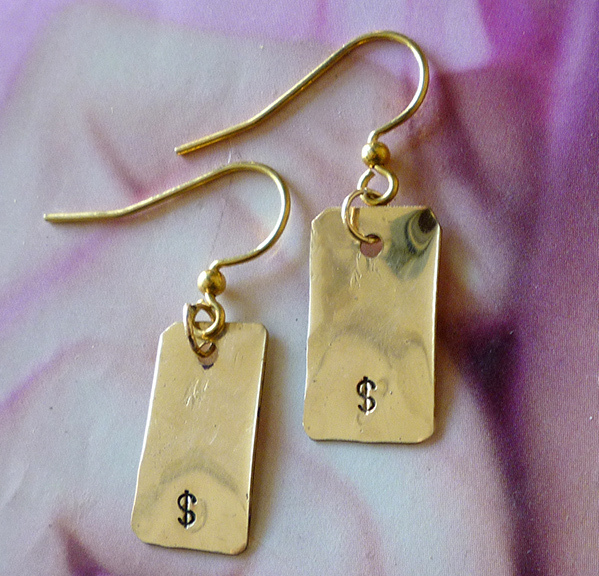 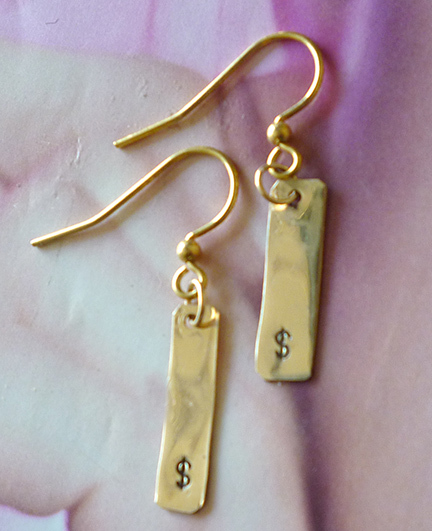 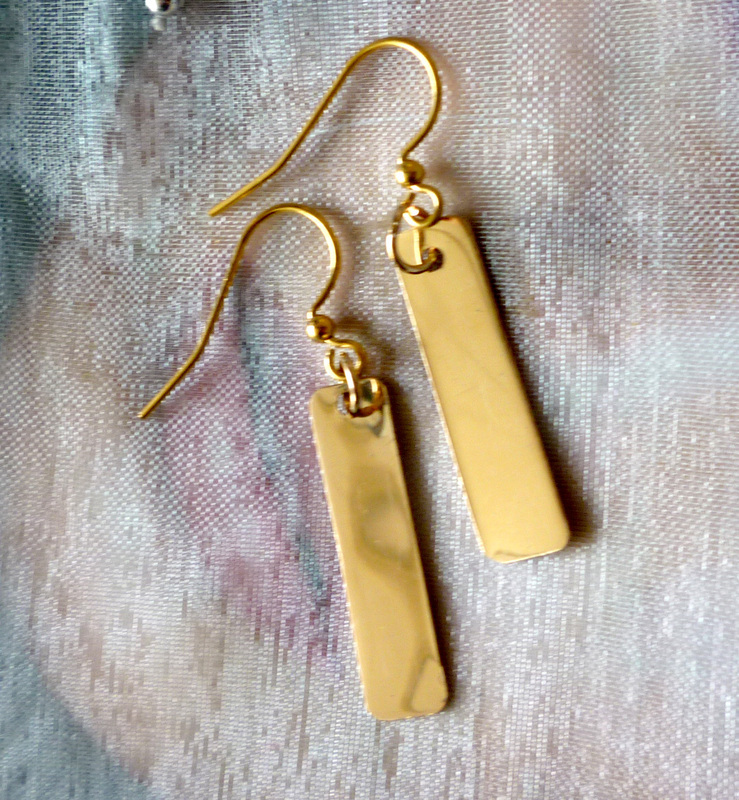 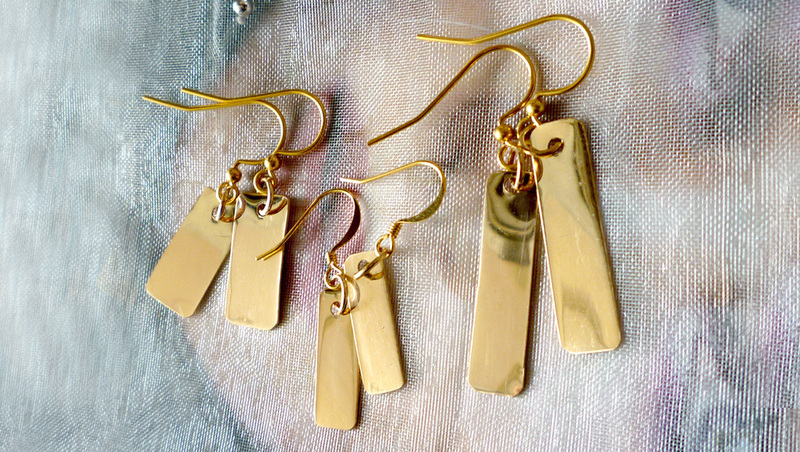 Love Money Too Earrings - 14K Gold hand cut, hand stamped and aged for the vintage look, gold ear wires. 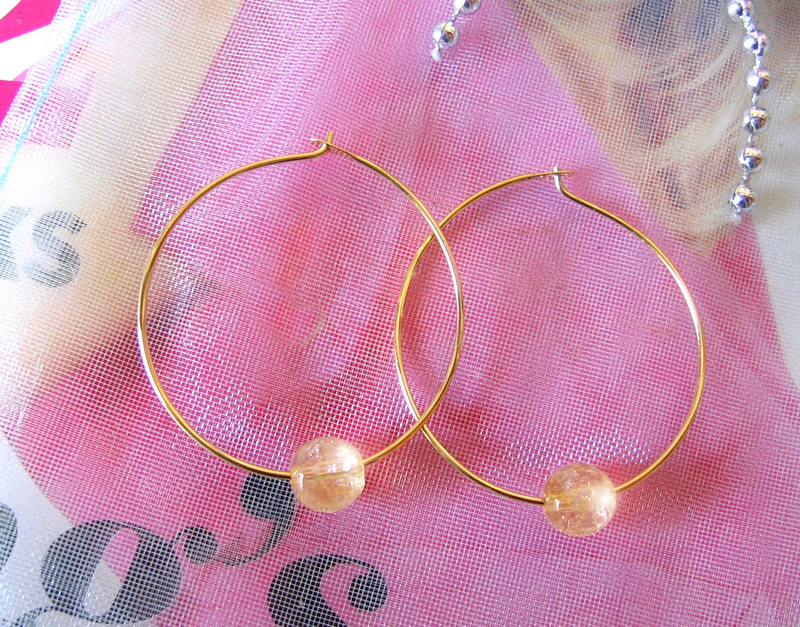 Citrine Hoops - SOLD Delicate gold hoop measuring 1" round with Citrine Semi-Precious Gem known as the Prosperity Gem!